We know that you love and care for your bears, but sadly not everyone looks after bears... many real bears are terribly hurt and abused by people around the world. The Teddy Bear Shop supports FREE THE BEARS in their wonderful work to free - and care for - abused bears. 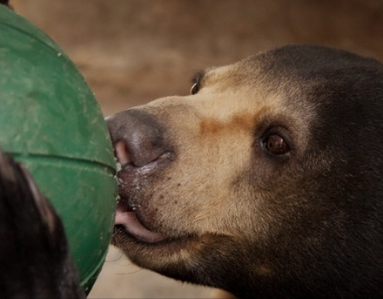 Since 1995 FREE THE BEARS FUND has provided support to a wide range of projects across the globe. Much of their recent work has focused on the Sun bears and Asiatic black bears of South-east Asia. 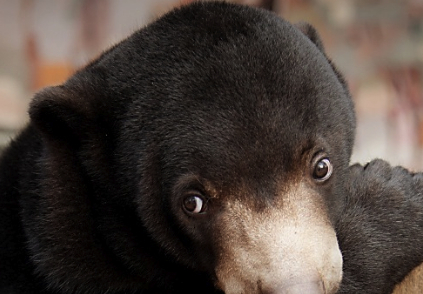 By creating partnerships that are tailored to each individual country and situation FREE THE BEARS has been able to support a wide range of projects in six priority countries, including Cambodia where they have rescued over 175 bears. The Teddy Bear Shop sponsors Mokiyup, a bear in Cambodia. CLICK HERE TO FIND OUT MORE ABOUT MOKIUP. Please help us to support FREE THE BEARS by making a donation in-store today! Your donation will go directly to FREE THE BEARS, and 100% of it will go directly to Mokiup's care. Find out other ways that you can support FREE THE BEARS by visiting their website today CLICK HERE. Copyright © 2017 Ma'at Trading. ABN 80283465969. All Rights Reserved. Designed by FreeCSSTemplates.org.